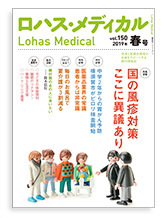 Current issues with the immunization program in Japan: Can we fill the ''vaccine gap''? Vaccine, Volume 30, issue 32 (July 6, 2012), p. 4752-4756. Copyright lohasmedia Inc. All right reserved.